Are You A Good Candidate To Own A Cockatiel? Are you ready to own a cockatiel? This article will take you through a couple of questions you need to ask yourself before you think about bringing one of these special animals home. 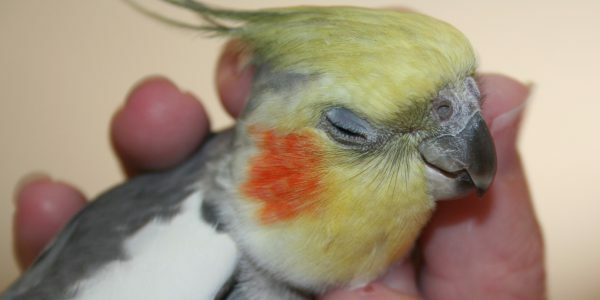 A cockatiel can offer their owner plenty of charm and loads of personality. Cockatiels also come free of the problems such as biting and excessive noise that the bigger parrots bring with them. Although they are not noted for their talking ability like the bigger members of their parrot family, they can be taught and are good at whistling simple tunes. Do you like or love animals? Do you have the time to care for one properly? Can you afford the extra expense each month? If you have answered yes to the above questions, then you are probably a good candidate for cockatiel ownership. 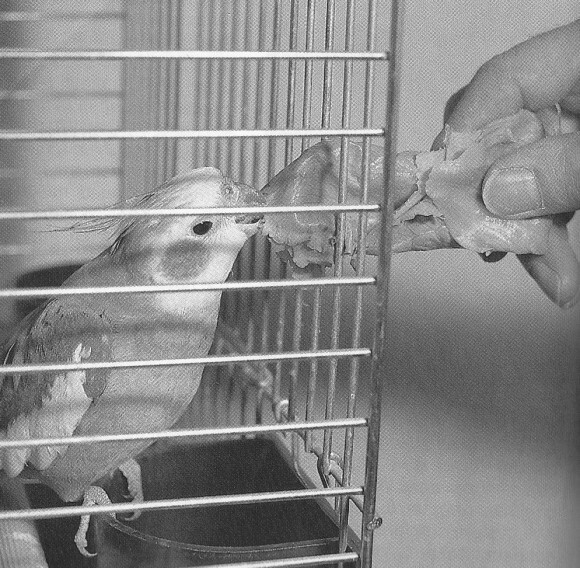 You must be the sort of person who doesn’t mind a bit of mess, as cockatiels can be messy by discarding their seed hulls and feathers around their cage. You shouldn’t mind the noise either, as they can be quite vocal, especially in the early mornings and evenings. If you are allergic to dust, you might need to consider another pet, as cockatiels will make you sneeze. If you want a cockatiel as a pet, try to buy one that is young and hand reared. Cockatiels are usually weaned by the time they are eights weeks old, and should be fine to purchase any time from then. They will be easier to train if they are used to human contact and still young. To maintain a cockatiels lovable personality, they need companionship. You will thus need to devote about a half hour or more a day paying attention to your bird. If you can’t spare this time, get two cockatiels so that they have each other for company. A half hour a day isn’t really a lot. You could cuddle him while you watch your sitcom, or eat breakfast or dinner together. Let him watch you get ready for work in the mornings. Time can also be spent on training and taming your cockatiel on a daily basis. How busy your life is and how much time you can spend with your bird? Who will care for your bird if you go away? How many and what type of pets do you currently own? Remember that a cat and a bird don’t normally mix well together. Do you have space in your home for another one? Here is a Cockatiel Care Guide for you to read through. This is a great list! It is so important to ask yourself these questions before deciding to bring home any animal but especially birds. I already have a cockatiel but I asked myself these questions anyways. You are 100% right about them. My mom has an African Grey which is cool because she talks a lot but not so cool because she also bites a lot (she doesn’t bite my mom though). The cockatiel though is an absolute joy. She doesn’t bite at all and while she is a little messy like you say I would not give her up for anything. All animals require attention to avoid being stressed out or depressed but it really is easy with a bird. They can literally just sit in your lap while you watch tv and just stroke their heads (just watch out for the poop!). Thanks for reminding me of what a great friend I have waiting for me at home! I agree cockatiels are an absolute joy to own, and not half as moody as the bigger parrots can be. To own a cockatiel isn’t such a bad idea. I love birds and do wish to have one as a pet. You are absolutely right saying they make a lot of mess but I don’t mind at all because I do love birds and I can care for them but the only thing bothering is the fact that they can’t stay together with a cat as said in your post but how about staying with a dog? In most cases, dogs are fine, as long as they are trained to leave the bird alone. In the beginning you may need to watch your dog, as he may be over curious. My daughter has been asking for a bird, specifically a Cockatiel, and I keep telling her how much work it is going to be. Your article perfectly lays out what planning needs to be done. Most importantly, you have outlined how having an animal changes your life. And how aware we need to be to ensure it is cared for properly. Using your article, I was able to communicate my thoughts much better. My daughter has now done some much-needed planning around this and has approached me with a much more workable solution to owning her own Cockatiel. Is the Cockatiel Care Guide available as a download anywhere? I am sure you will love your new cockatiel. One thing that I can say is that a cockatiel is far easier to care for than most other pets. You are welcome to copy the cockatiel care guide for your personal use, although I wouldn’t call it downloadable. Thanks for the informative post about a Cockatiel! Much grateful! Oh, I would have loved to be a good candidate for cockatiel ownership for I loved animals especially pets, always love to care for pets, feed pets, don’t mind the mess they bring along, but it’s so unfortunate that I’m suffering from an allergic reaction and you mentioned in your post that cockatiels can make one sneeze. Since my doctor had warned me in the past to flee from whatever would make me start sneezing anytime, I may prefer other pets to cockatiels as you suggested in your post. Thanks for the useful post! Bookmarked this post for a reminder! Sorry to hear about your allergy Israel. I have the same problem when it comes to cats.